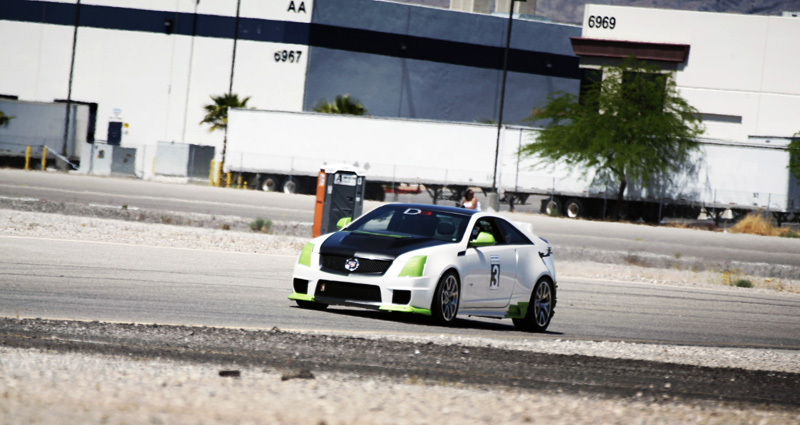 Las Vegas, NV – 2012 MFest was the hottest event in Vegas – literally. With hundreds of BMW’s in the show area, tons of vendors, scantily dressed models, insane custom builds, and an abundant amount of cars on the racetrack, Las Vegas Motor Speedway was the place to be if you had a BMW. But what if you had a Cadillac? Would any of this even matter to you? 4/21/12 @ 8AM, a distinct sound that is very familiar to many gear heads comes to life. 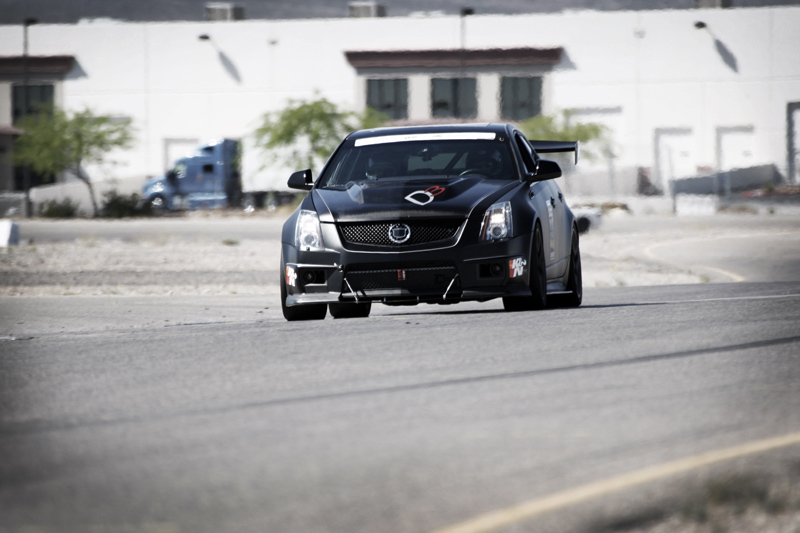 That is the deep rumble of a supercharged V8 LS powered CTS-V. 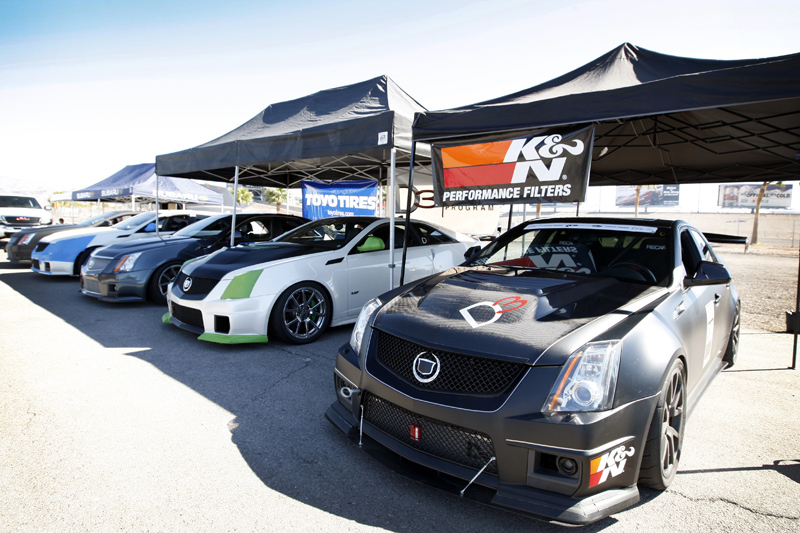 Welcome to The Cadillac Challenge presented by Toyo Tires, Round 3 at MFEST. Confusing, right? 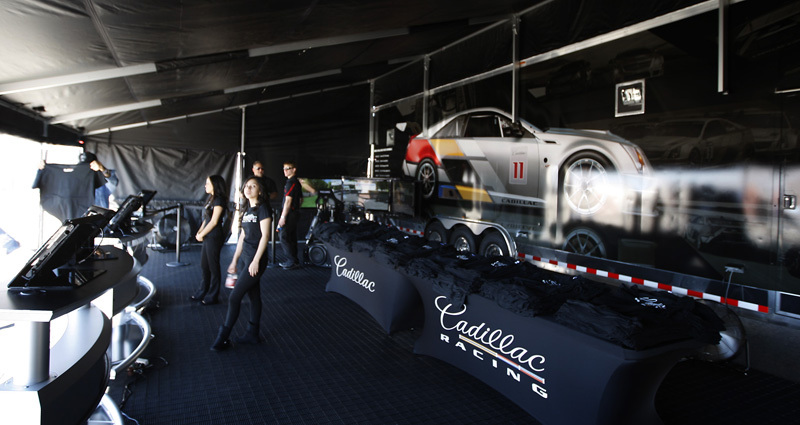 What are a bunch of Cadillac’s doing on the racetrack at MFest? Well the event organizers at Cadillac Race decided it would be a good idea to have Round 3 setup as a non-points exhibition round in the middle of MFest. The idea was to increase exposure to a different market segment and to help change the perspective of what some people think Cadillac V-Series cars really are. After this past weekend’s event, it worked! During the first session most of the drivers were trying to find the quick lines around the track. It was the usual suspects again in C1 class. 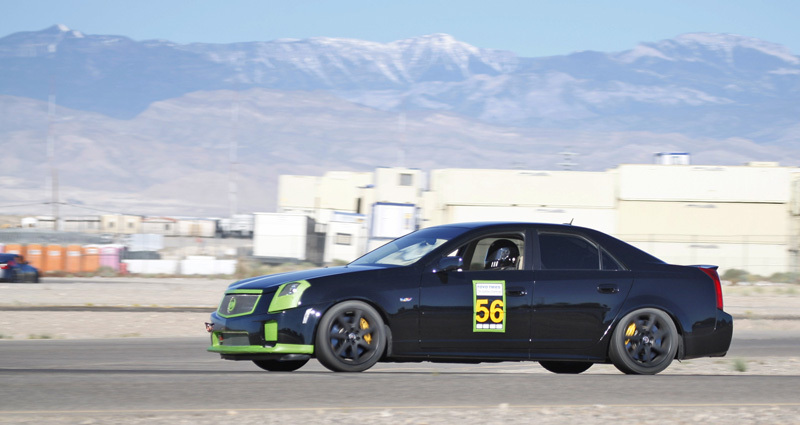 However point’s leader, Steve C. and his 2012 Cadillac CTS-V Coupe with matte black finish, showed up with new suspension components. Eager to show his new modifications were justified he was spending time getting used to his new setup. 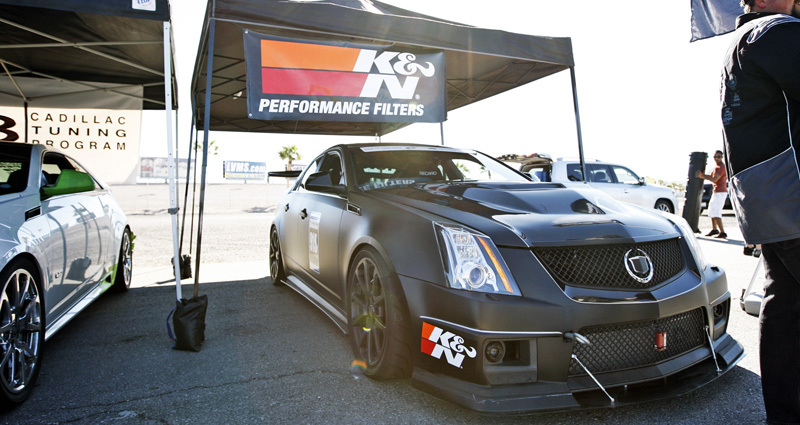 David Little and his first Gen CTS-V wouldn’t be outdone, showing up with new modifications as well. His modifications were new slicks! Since C1 class allows for a various range of modifications, both drivers took advantage of such rules to increase their performance levels on the racetrack. It was evident as both of them continued to duel it out and set quick paces throughout the day. In the end Dave was able to log the quickest time for the C1 class with a 2:09.642. Steve C. seemed confident that his new modifications will continue to shave valuable seconds off his future lap times, but for this weekend the 2:12.279 lap time would have to suffice. Look for these two to continue this battle at the Infineon Raceway for Round 4 in a couple of weeks. 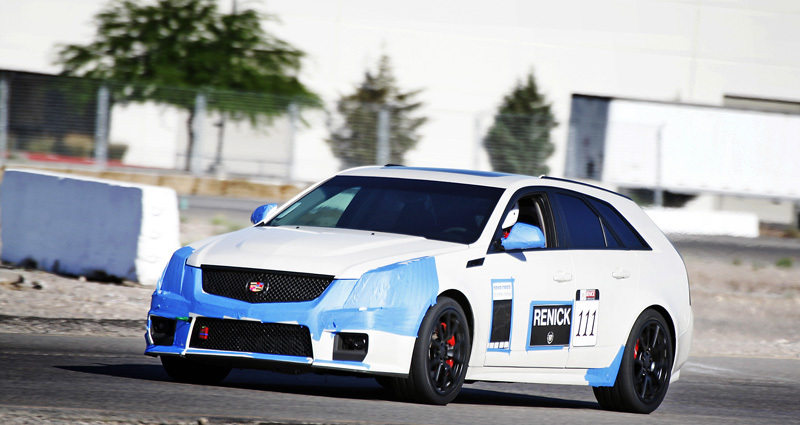 C2 showcased the D3/Renick Battlewagon driven by JR Renick and the entry from Team Special K and his 2010 D3 prepared CTS-V. The early sessions were back and forth. Each jockeyed for quick times all the while trying to learn the track. Both of the drivers were on this track for the first time, but that wasn’t going to be used as an excuse to log less than stellar lap times. Team Special K was able to get a few good laps in without major traffic to register his best times for the event with a 2:15.824. The Battlewagon took the slow and steady approach and continued to improve his track times lap after lap until he logged his quickest time of the weekend with a 2:15.721. After the dust settled, JR Renick came out on top setting the tone going into Round 4 at Infineon Raceway. The margin of victory was a scant .103 seconds! The C2 class will be wide open now that points leader Alan C is now competing on the east coast for the remainder of the season, relinquishing his strangle hold on the points lead over the next few events. C3 Showdown between D3’s Team Legionnaire piloted by James Gill and Team Heavyweight Racing piloted by Bob Michaels was a classic. Both drivers were coming off of the break with new modifications to their vehicles. 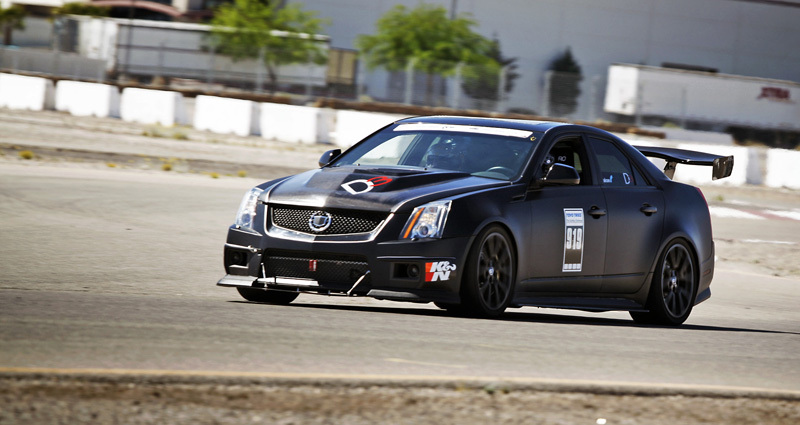 Bob and his CTS-V Sedan was sporting a new motorsports hood, adding to the menacing look his car already possessed. 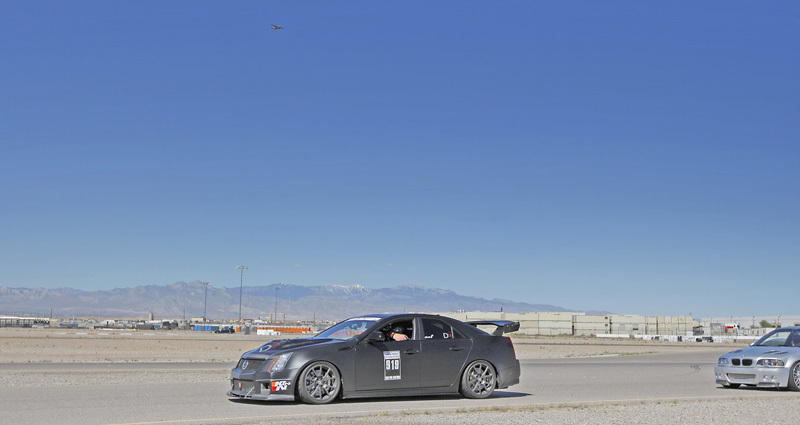 While Team Legionnaire was working on new suspension components to help the CTS-V Coupe around the corners, the morning session was very entertaining. Both drivers were pushing their cars in the early morning to take advantage of the cooler track surface temps. When they pushed too far, the track pushed back. 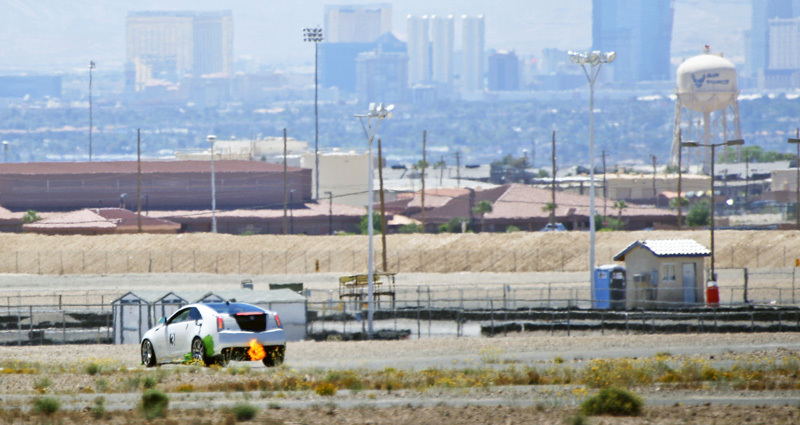 In the first session of the day, Team Legionnaire’s fire breathing CTS-V Coupe drew first blood by posting the quickest time for the session in C3 posting a 2:08.536 lap time. During session 2 Bob Michaels of Team Heavyweight racing made his necessary adjustments to post the quickest time of the session with a 2:08.572, thus serving notice to Team Legionnaire. It was clear that both drivers came to play in the heat and focus was not going to an issue. Who will make the right adjustments to take the victory for the C3 class? Can both teams survive the heat? Tuner Showdown, Mfest. 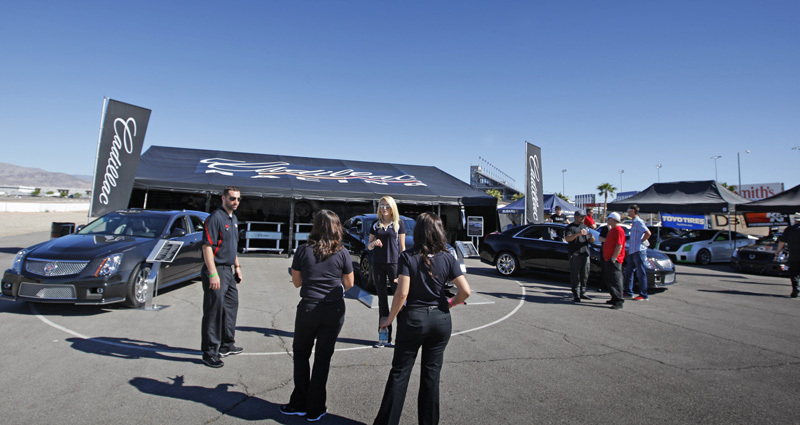 D3’s Legionnaire was summoned to the racetrack to participate in the tuner battle during the middle of the event. It was an impromptu race for Legionnaire as they were not planning on participating initially. But after the peer pressure of the strong BMW contingent and deciding it would be a great opportunity to further showcase what the Cadillac CTS-V could do, the Team decided to enter the competition. 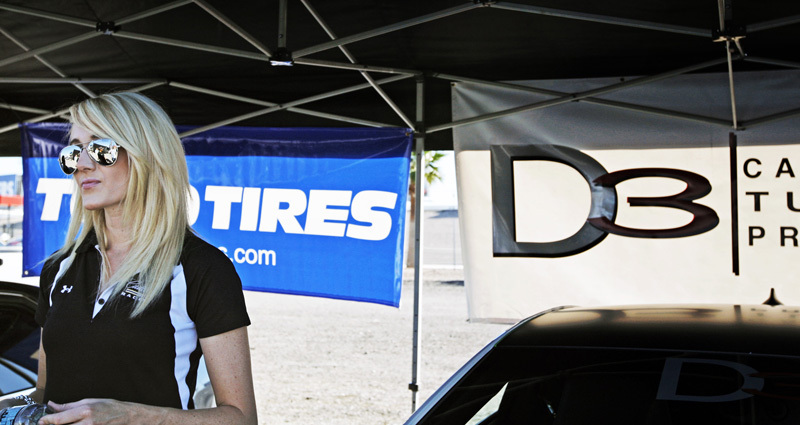 After a quick 3 lap qualifying session, D3’s Team Legionnaire was sitting in 9th position. Once the race started, the team was able to make adjustments and charge through the field to finish 6th in the 3 lap shootout. Onto the final session of the day, who would push their cars to the limit to achieve to quickest lap time? With each Team making their final adjustments, the final session has begun. Both Teams’ have been saving their Toyo R888’s for this session. 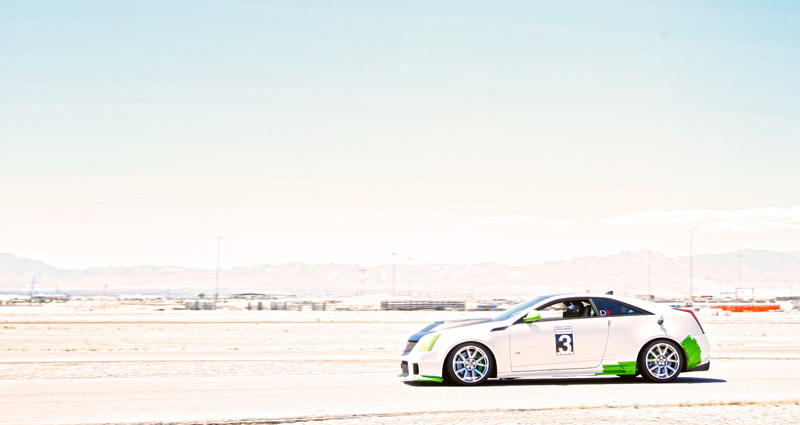 Once both cars hit the track, they had to navigate traffic to get open space to execute their clean laps. There were BMW’s all over the place. The Cadillacs were using their powerful engines and gobs of torque to clear space in the straights. When the dust settled, Team Legionnaire logged the quickest time of the weekend with a 2:07.704 compared to Team Heavyweight Racing’s 2:08. Unfortunately since this wasn’t a points event, D3’s Team Legionnaire, wasn’t able to gain ground on the points leader Bob Michaels. This will shape up to be an interesting next couple of rounds as these two continue to go at it head to head. When we first heard about The Cadillac Challenge presented by Toyo Tires invading MFest we thought the footage was going to be shown on the news @ 11PM in some type of ruckus at the track. But that wasn’t the case. What we saw was actually pretty cool. There was a mutual admiration and respect for what each brand of vehicle was able to show on the track. If anything this event was encouraging for all gear heads, as both brands are adequately represented by their respective super tuners. Perhaps we should change the questions that we ask. Instead of asking, “what are a bunch of Cadillac’s doing on the racetrack at MFest,” maybe we should start asking ourselves “why wouldn’t there be a bunch of Cadillac’s on the racetrack?” It’s MFest, the Motorsport Fest. 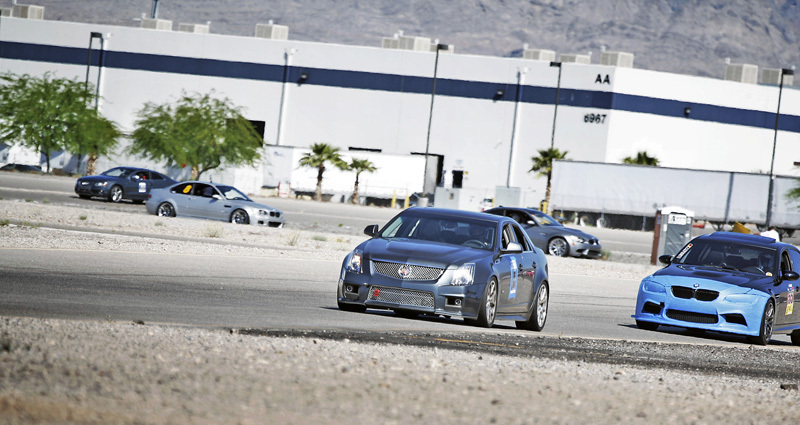 What was your favorite CTS-V model at MFest? Leave a comment and let us know!